and asked her to make a flag for the new country. She showed them how to make stars with five points instead of six . . . So goes the legend of Betsy Ross. This was the tale told by her grandchildren in the 1870s, a story that many historians doubt. But before we get too embroiled in this “legendary” debate, let’s explore what is known about this remarkable woman who was a patriot, a successful entrepreneur, and a single working mom. Although Elizabeth “Betsy” Griscom was born into a Quaker family, her temperament seemed suited to the cause of liberty. In November of 1773, at the age of 21, she eloped with John Ross, a fellow upholstery apprentice at the shop where she worked. Her new beau was not a Quaker, so she braved being disowned and “read out” of the Quaker faith. The young couple set up their own upholstery shop on Chestnut Street. John Ross died in early 1776, so after only two years of marriage Betsy Ross found herself widowed at the age of 23, with a business to run in a country on the brink of war. An upholsterer in 18th-century Philadelphia spent his or her time crafting bed hangings, chair cushions, and window treatments for the elegant homes that were popping up in the growing city. Impending war might curtail demand for such domestic extravagances, but it would offer a new business opportunity for upholsterers in the making of tents, mattresses—and flags. In the 18th century, flags served a practical function. With their bright colors and geometric designs waving in the breeze, they were a means of identification for troops on the battlefield or for sailors at sea. 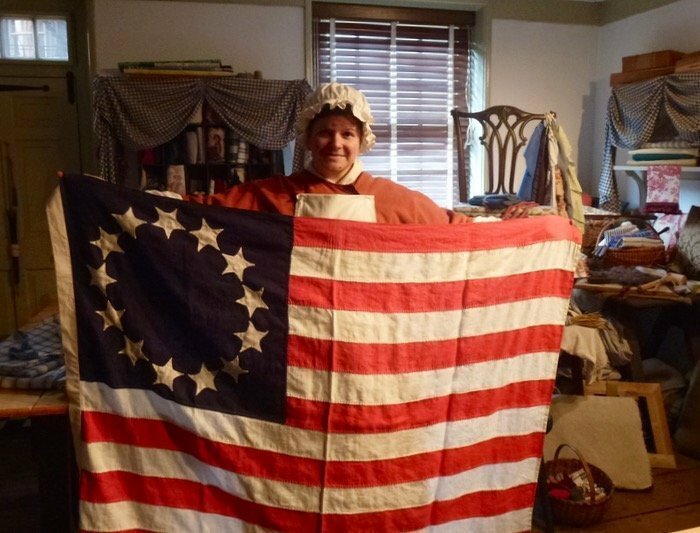 For a young widow struggling to keep her business afloat, sewing flags for the new Continental Army provided much-needed work, and it’s known that Betsy made American flags. But did she sew the first? Here’s where historical facts mingle with family lore. In 1870 Betsy’s grandson William Canby and more of her descendants released sworn affidavits stating they heard their grandmother/mother/aunt relate the story of how she made the first flag at the request of George Washington. Canby asserted that Washington came to the shop along with Robert Morris and George Ross and presented Betsy with a design of a flag with 13 red and white stripes and 13 six-pointed stars on a field of blue. Betsy suggested changing the stars to a five-pointed design, showing the gentlemen how it would be quicker to produce by folding the fabric a certain way and making a single cut. There are no records or receipts relating to the production of this first “Betsy Ross” flag, creating the debate with historians. But these were chaotic times. During his two-week visit to Philadelphia in the spring of 1776, General Washington was a busy man. The Continental Congress had just authorized $50,000 for the commander-in-chief to acquire “sundry articles for the use of the continental army,” which included flags, or “colours.” Washington needed the services of many tradesmen (and women) who could assist with this task. Since her late husband’s uncle, George Ross, was active in government oversight of the military, Betsy Ross would likely have been contacted. Other potential suppliers of sewn goods for the fledgling military—including Cornelia Bridges, Margaret Manny, and Rebecca Flower Young—were probably approached as well. By the spring of 1777, recordkeeping was more consistent and documentation firmly establishes Betsy Ross as a flag maker for the revolutionary government. In mid 1777 Betsy married Joseph Ashburn. Over the next few years she gave birth to two daughters; one died as an infant. 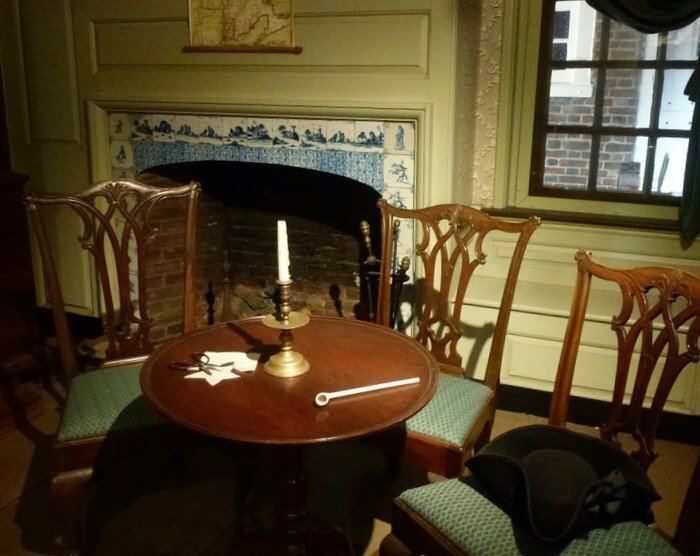 Her new husband was a mariner who spent much of his time at sea, often leaving Betsy to manage her shop (now on Arch Street) and her young family alone during the turbulent Revolutionary War years. In 1781, when their daughter Eliza was just six months old, Joseph Ashburn again took to the waves. The British captured Ashburn’s ship at sea and he was imprisoned in England, where he died in 1782. By the end of the war Betsy had become a widow twice, and now had a child to support. Betsy continued to make flags for the US government well into her 70s, including dozens on the eve of the War of 1812; she even worked with her third husband, John Claypoole, in the trade after they married in 1783. They would ultimately raise an additional five children together. Elizabeth Griscom Ross Ashburn Claypoole died in 1836 at the age of 84, not yet the legendary figure she is today. Ironically, Betsy and John Ross had no children; the descendents who perpetuated her oral history were Ashburns and Claypooles. 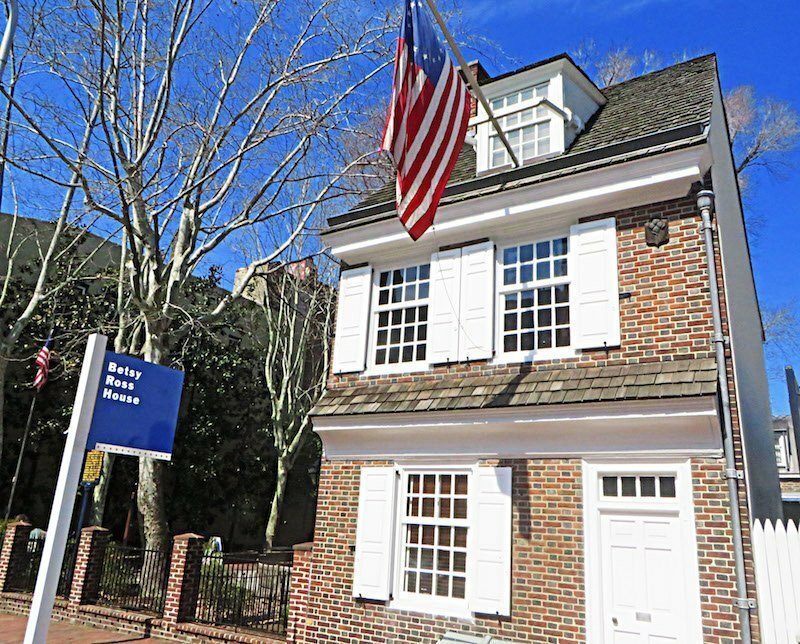 The Betsy Ross House on Arch Street is a circa-1760 brick house and shop faithfully restored to what it is believed to have looked like during the years surrounding the Revolutionary War. The small townhouse is typical of the shops and homes that stood on Arch Street 250 years ago (much like the homes on Elfreth’s Alley). According to Ross’s descendants, Betsy rented the front part of the building during those years for a shop on the main floor, with living quarters above. A self-guided tour takes visitors through rooms furnished as they were in the late 18th century, up and down wedge-shaped “butterfly steps” showing living quarters, the upholstery shop, and storeroom. A highlight of the tour is meeting “Betsy Ross,” a historical re-enactor in the shop. 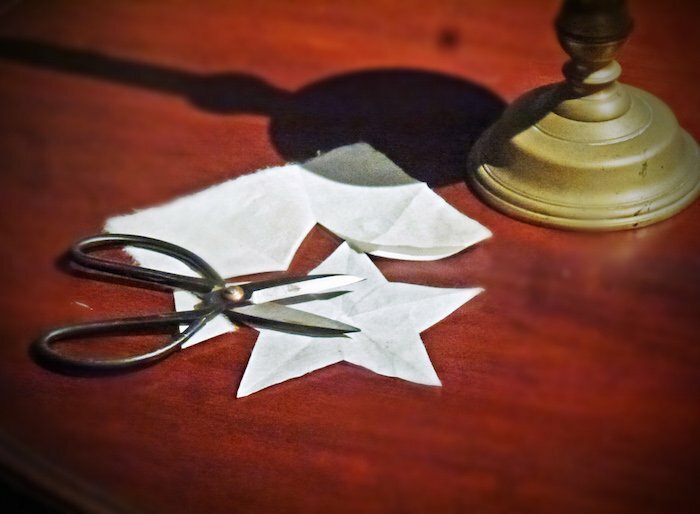 “Betsy” never breaks character, answering questions in 18th-century vernacular, demonstrating to visitors how to craft a perfect five-pointed star from a folded piece of paper with a single cut. Young children particularly enjoy the ground-floor storeroom and kitchen, where a “please touch” section includes toy food and utensils, along with recipes for 18th-century victuals. The tour concludes in the shaded brick courtyard next to the house, where Elizabeth Griscom Ross Ashburn Claypoole, the nation’s beloved Betsy Ross, is buried with her third husband John Claypoole. NOTE: To read more about this remarkable woman, check out this fantastic (and historically accurate!) 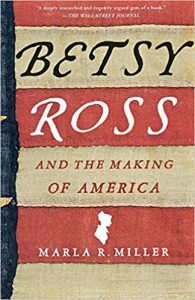 biography: Betsy Ross and the Making of America by Dr. Marla Miller. Hours: 10 a.m. to 5 p.m. daily, Mar through Nov; closed Mon, Dec through Feb. Admission: Adults $5; children, students, seniors, and military $4. A self-guided audio tour is available for an additional $2. Admission to the courtyard and Betsy Ross’s grave is free. Wheelchair accessibility: The courtyard is accessible; the remainder of the house is not. 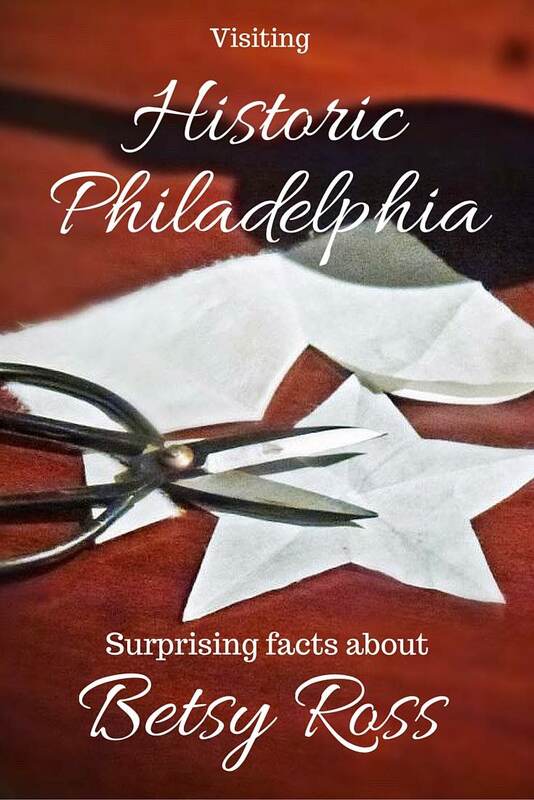 Note: This story about Betsy Ross is an excerpt from our book Philadelphia Liberty Trail: Trace the Path of America’s Heritage. 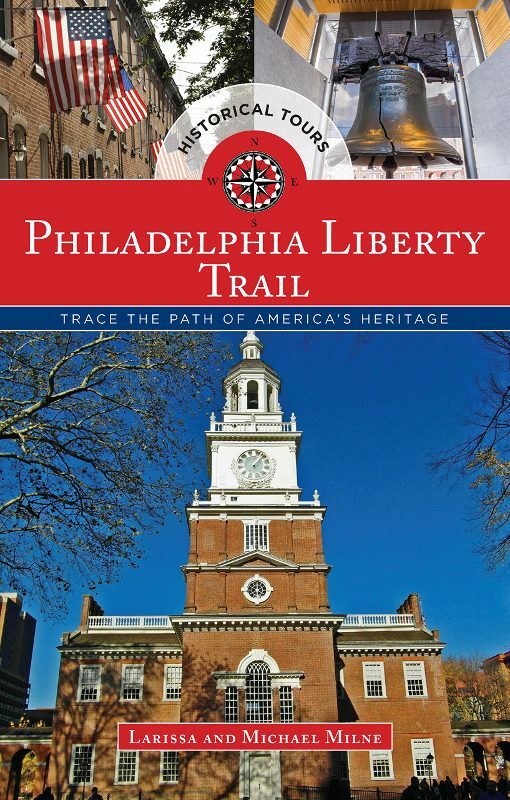 The historical guidebook takes a revolutionary approach to the city’s historic district and the founding of America. We’re proud to say it also won a Book-of-the-Year award from the Society of American Travel Writers. You can buy the book at your local bookstore or on Amazon.